​Dortmund travel to the Red Bull Arena to face RB Leipzig on Saturday evening as the Bundesliga returns from its winter break. The Black and Yellows head into 2019 top of the Bundesliga after winning 13 of their opening 17 games with only one loss to their name. Dortmund have capitalised on title rivals Bayern Munich’s shakey start to the season, and hold a six-point lead over Die Roten. Leipzig will welcome another home league fixture going by their recent away form, as they have failed to pick up points in their past three games on the road but are unbeaten at home this season. ​The first meeting of the side this campaign came on the opening day of the season. 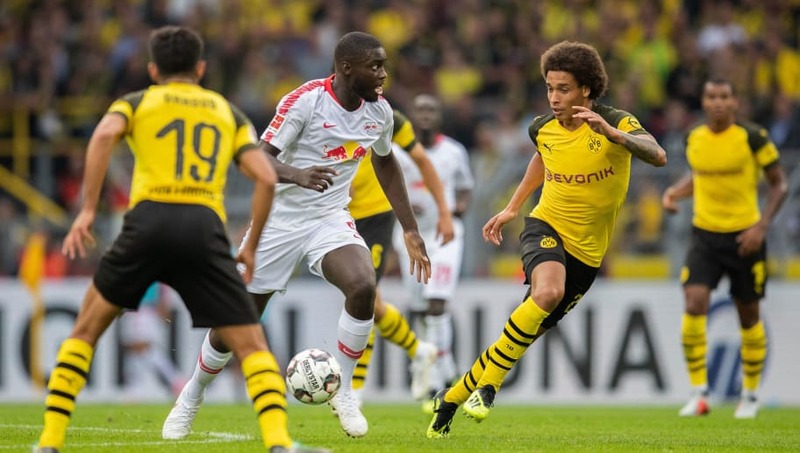 ​Dortmund strolled to a 4-1 victory over Leipzig despite Jean-Kévin Augustin's early opener for the visitors. Here is 90min’s preview of Saturday’s clash. ​Central defender Manuel Akanji is set to miss out for BVB through injury with Dan-Axel Zagadou his likely replacement. Paco Alcacer is also a doubt following a torn muscle picked up during Dortmund’s final game before the winter break. Without the league's joint top goal scorer, Dortmund's striking options will be limited this weekend. Leipzig will be without Amadou Haidara and Bruma who are currently on the injury list whilst Swede Emil Forsberg isn't expected to return until the end of the month and is doubtful for Saturday’s game. Stefan Ilsanker will continue his suspension following the red card he picked up against ​Bayern Munich back in December. RB ​Leipzig ​Gulacsi; Klostermann, Konate, Upamecano, Halstenberg; Laimer, Demme, Kampl; Sabitzer, Poulsen, Werner. ​Dortmund vs Leipzig has been a thrilling match-up to watch in recent history. During their five Bundesliga encounters both sides has claimed two wins over each other, with one game ending in a draw. While Dortmund have already gained three points from Leipzig this year, they only managed a draw the last time they visited Red Bull Arena in March last year. ​Dortmund were the form team of the ​Bundesliga for the first half of the season. Despite losing to Düsseldorf on their last away trip they have won seven of their past eight Bundesliga games, scoring 15 goals in the process. While Leipzig's home form has been fantastic, their away form has dipped somewhat. ​Here is how each team has performed in their past five fixtures. Recent games would indicate we are in for another exciting encounter. Leipzig have conceded the least amount of goals in the Bundesliga this season while Dortmund have scored the most. Dortmund are on course to regain their first Bundesliga title in seven years and winning these types of games will be pivotal in achieving that goal. Lucien Favre has built himself a winning team and not many are capable of stopping Dortmund this season.